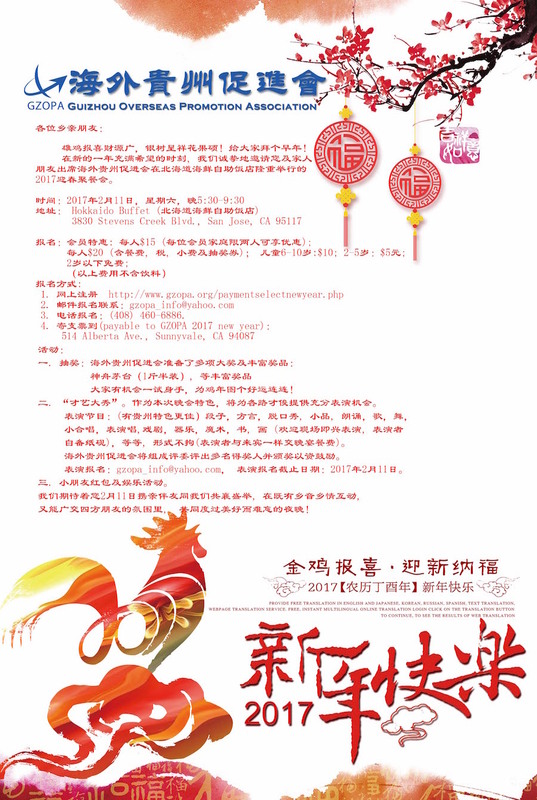 To celebrate the year of the Rooster, you are cordially invited to attend GZOPA 2017 Chinese New Year party on Feb. 11, Saturday, at Hokkaido buffet restaurant in San Jose. This is our annual new year party for members, families, old friends and new friends, to get together, enjoy the food, show, and friendship! Come and join us! Jane (Fengxia) Zhan, Dreamland Matterss, Inc.